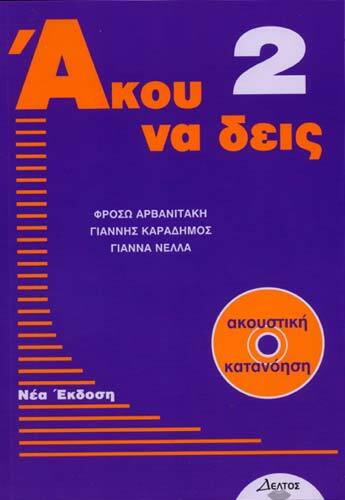 This method aims at the reinforcement of the acoustic comprehension of the people who learn the Greek as a foreign language. 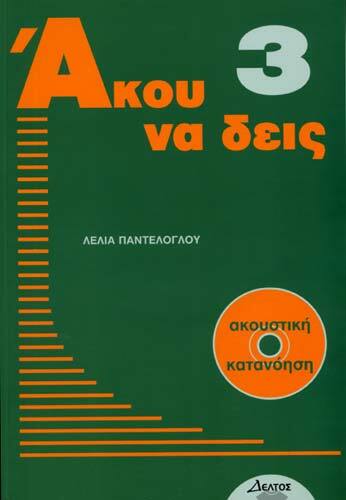 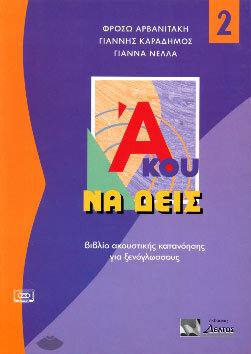 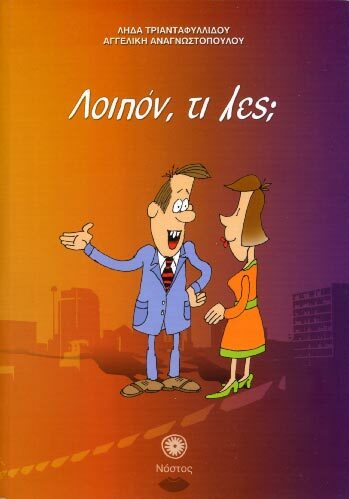 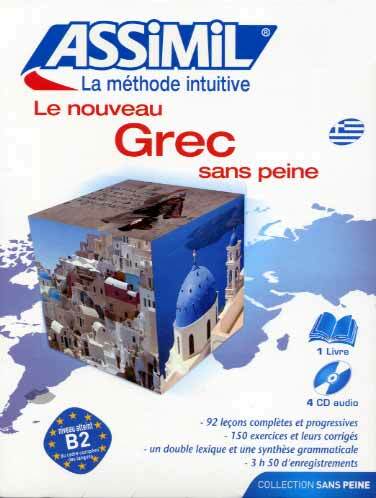 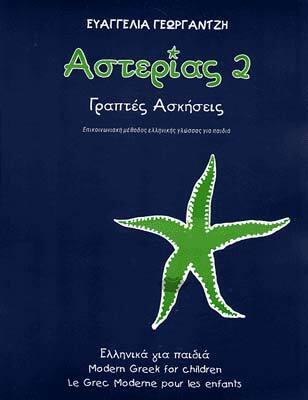 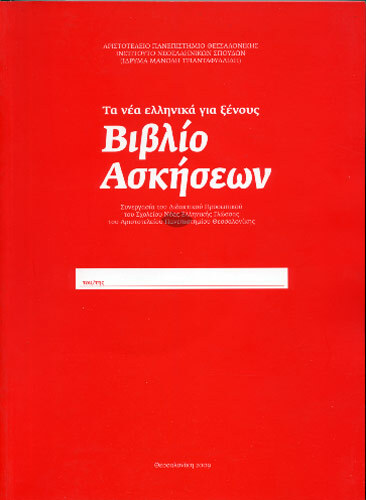 The serie is formed by 3 books and 3 cassettes and it can be used as additional material for any handbook of teaching Greek as foreign language, depending on the student's level . 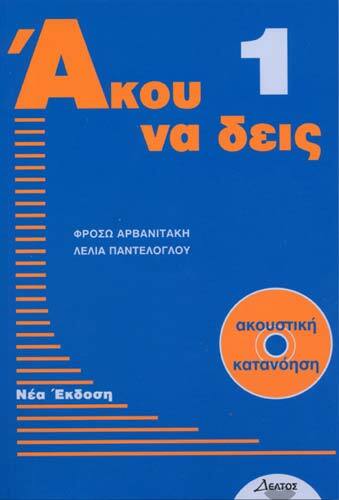 - a book of exercises of acoustic comprehension, texts and dialogues that are heard in the cassette, and the solutions of exercises.